When you first sit down with your little one at a young age and present their first puzzle, they may want to put the pieces in their mouth more than on the board, but that is all part of the learning experience. The more you engage with them, the more the hand-eye coordination will take control and before you know if they will be putting the pieces right into place. The best part is watching the smile on their face. Being patient helping them with puzzles may be as frustrating as finding the best puzzles. We have researched many puzzles on the market and were able to compile a comprehensive list of the best wooden puzzles for kids and toddlers. 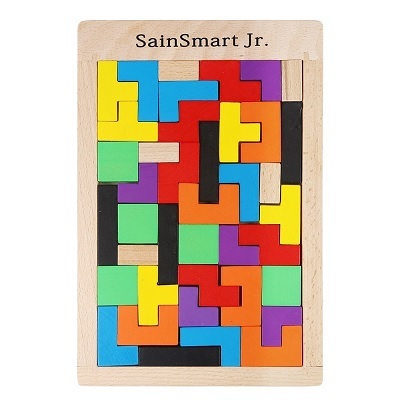 This list features wooden puzzles for all ages. Puzzles are a wonderful way to help your children develop a wide variety of skills. Our new format allows you to consider specific criteria and each product's ability to measure up to it! Happy browsing! Wooden puzzles are a great way to hone your child's fine-motor and problem-solving skills, among many others. We have recently updated our list of the 10 best to include products to appeal to a wide variety of age ranges and skill levels. In addition, we have reviewed all pertinent product information to ensure that it is all up to date and accurate. Puzzle pieces can get lost. 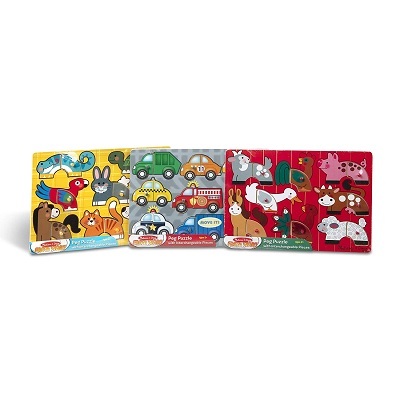 The Deluxe Mix ‘n Match Peg Puzzle Bundle is a 3-puzzle board set that introduces your toddler to the wonderful world of animals and vehicles. he wooden peg puzzles are a time honored tradition that never grow old. This type of puzzle is ideal for kids at an early age. While using peg puzzles kids can learn to identify certain shapes. 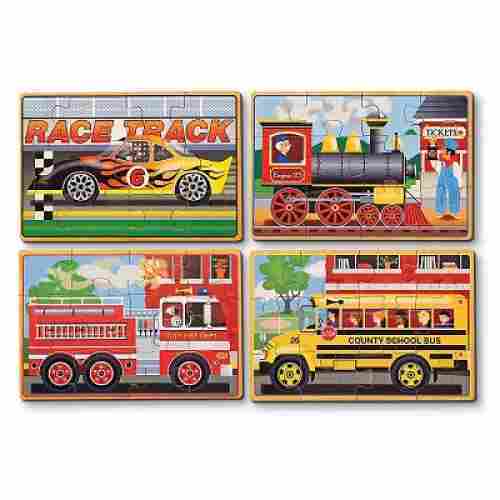 These three puzzles are also interchangeable to stimulate a child’s imagination. Each puzzle is comprised of at least 8 puzzle pieces with the vehicle board containing 9. 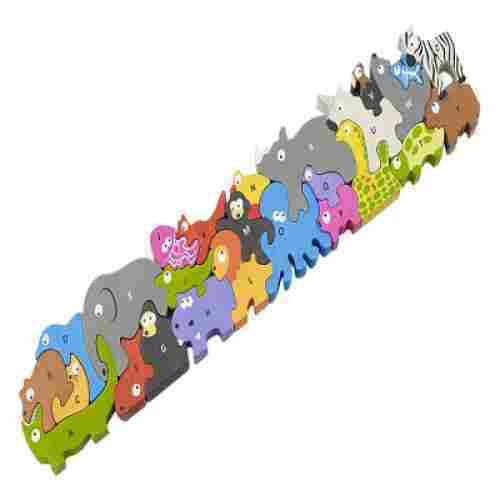 Each puzzle piece is beautifully designed in rich vibrant colors with happy animal faces on an equally colorful background. The bundle comes with a durable and safe wooden tray. 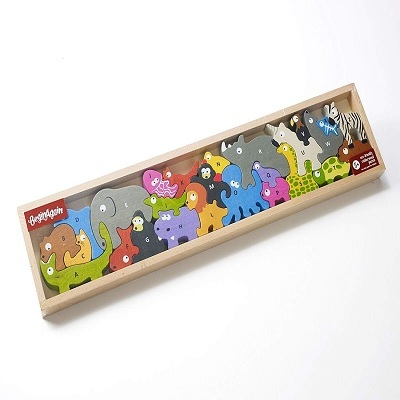 This is an excellent wooden peg puzzle to introduce to your 2-year old although we think that some kids as young as 18 months can actually benefit from it. It is great for developing simple problem-solving skills, enhancing fine motor skills, and reinforce pattern and shape recognition. At an early age kids seem drawn to vehicles such as cars and trucks. 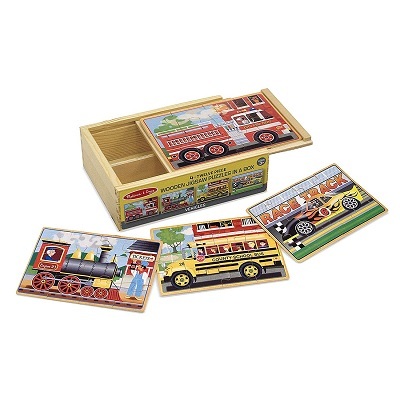 The Melissa & Doug Vehicles 4 in 1 Wooden Jigsaw Puzzles give them a chance to build their own. This puzzle also teaches young kids about what a fire truck is and a steam engine are. These fun puzzles can also be kept by a child after they finish completing each model. For the older toddlers who may be looking for a puzzle that’s slightly more advanced with a bit of a challenge, a jigsaw puzzle may be the way to go! Kids will get more satisfaction out of knowing they’ve fit all the right pieces together and the reward will come with they sit back and look at the awesome picture they’ve created. 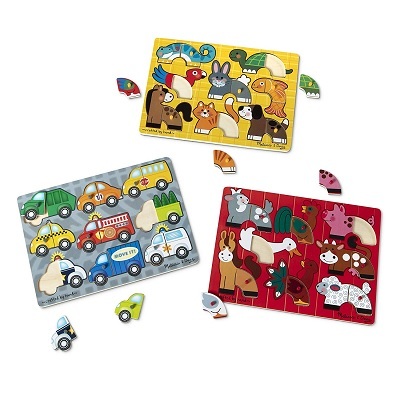 The Vehicles wooden jigsaw puzzle is a great option because it’s sturdy and durable, and will hold up extremely well to kids who are still learning not to put things in their mouths, bang them on the table, etc. It’s basically toddler-proof! 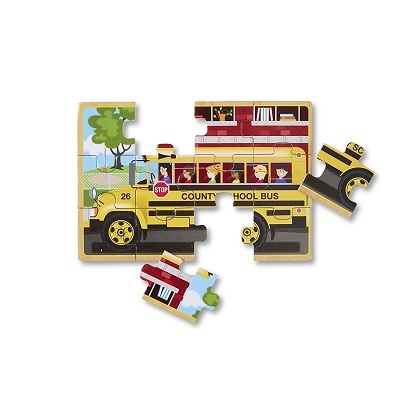 When all the pieces are fit together these puzzles form a firetruck, a school bus, a train, and a race car. For the price of one puzzle, your child has the chance to put together four different and unique puzzle, all which will bring a smile to his or her face when they’ve completed it. 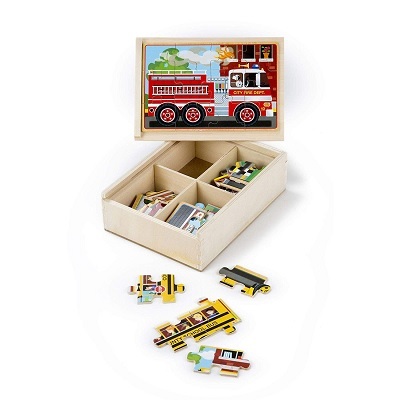 Each puzzle fits neatly into a strong wooden box which makes travel a breeze if your child wants to take his to school, on vacation, or to a friend’s house. The puzzle designs come in very interesting scenes that you can actually frame them and hang on your kid’s wall in his or her bedroom. It’s also great for developing and enhancing his or her fine motor skills, hand-eye coordination, problem-solving skills, and spatial intelligence. The option to add a personal touch to this puzzle is really unique and special and adds another level to this gift. It’s something your child will hold onto for a long time and actually want to play with simply because their name is on it! 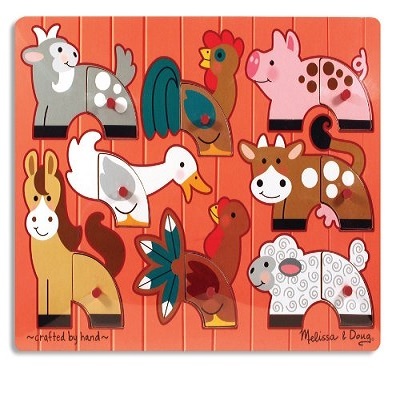 This handcrafted jigsaw puzzle is absolutely perfect for kids who love animals. The safari is mysterious and interesting and this puzzle does it justice with a beautiful and artfully created safari scene that will motivate your kids to want to piece this puzzle together again and again. 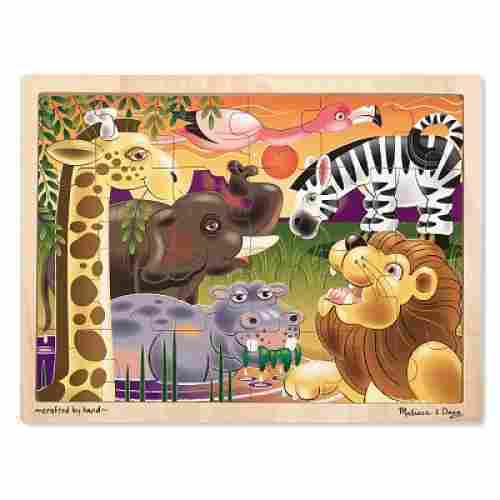 The scene depicts classic safari animals such as a lion, flamingo, elephant, zebra, giraffe, and hippo. They’re adorable yet still realistic and make for the perfect educational tool to teach your kids about wildlife. For a few more dollars you can even have your child’s name engraved on the top for a perfect personal gift! With 24 pieces it’s perfect for anyone in elementary school and functions as a great first jigsaw puzzle. They’ll have the chance to figure it out and use critical thinking skills to do so, but it’s not overwhelming to the point where they’d have trouble with it. Some kids really love animals and five years old is the perfect age to begin teaching them about all the wildlife out there. This puzzle is mentally stimulating while also being a great tool for learning. Is your child a fan of computer games? If the answer is yes then this puzzle may be the right one for them. 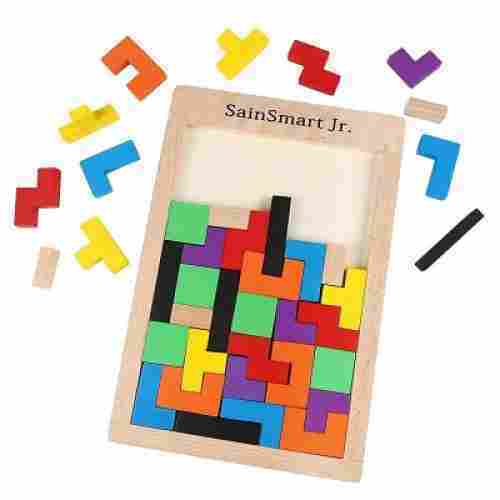 Designed for ages two to eight and up, the Tetris design of this puzzle is meant to be stimulating and a major booster for critical thinking and problem-solving. Try incorporating this game into your weekly family game nights and watch how much better your family becomes at brain teasers! This Tetris-inspired game is designed to get kids away from gaming screens and focused on something hands-on. By trying to fit all the pieces back together they’ll be learning significant problem-solving skills and also exercising muscle memory. We’d make a bet on the fact that it will just be good ‘ol fun for your kids though, as they try to work all 40 uniquely-shaped pieces into this rectangle box for a perfect fit. It’s a great way to get them off the computer and tablets and is a game that you’ll never have to worry about charging or finding batteries for. It’s real-life Tetris and will provide a challenge for the whole family whether this is after school, rainy day, or week game night fun. The box and pieces are made out of natural beech and maple wood as well as non-toxic paints, making it safe for any and all ages. Bringing a classic video game to real life is a really fun feature of this puzzle. Helping them extend their learning past a computer screen is important for both their coordination as well as problem solving skills. Some pieces can get lost. The colorful pieces and background of these puzzles is almost like looking at a painted picture and we love that it’ll draw your child right in. Having a fun interactive puzzle is one thing, but having one that resembles art is even better. Teach your child about farm life with horses, cows, and chickens, or engage them in underwater learning with whales, dolphins, and sharks. This is a great puzzle option for younger ages such a two, but also a wonderful learning guide for ages three and four as well. 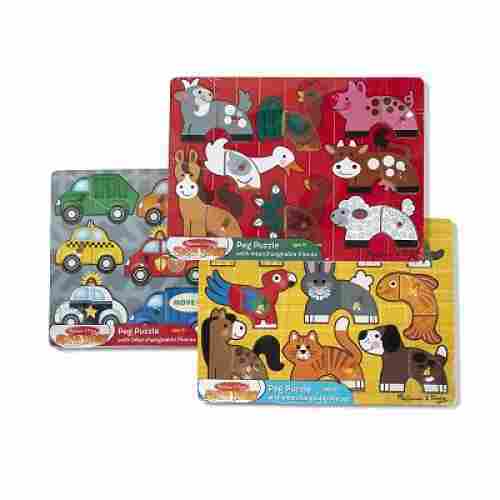 These puzzles will have a long-term place on your child’s shelves as they get older and the puzzles become less of a sensory game, and more of a learning game when they begin to identify specific animals. Does your child love going to the petting zoo or maybe even love being around your family’s pets? Now they can have the animal environment they love so much right in front of them! 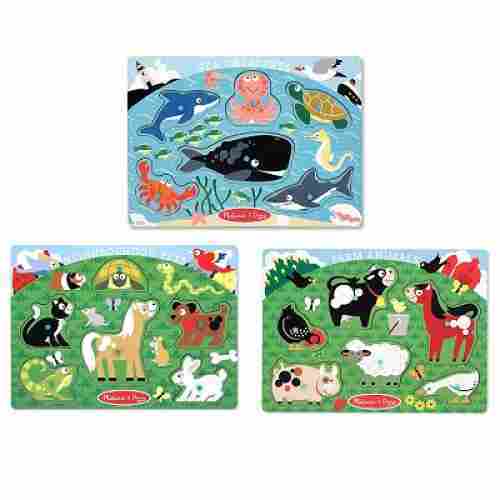 These animal puzzles come in sets of three different themes: farm animals, common pets, and underwater marine life. 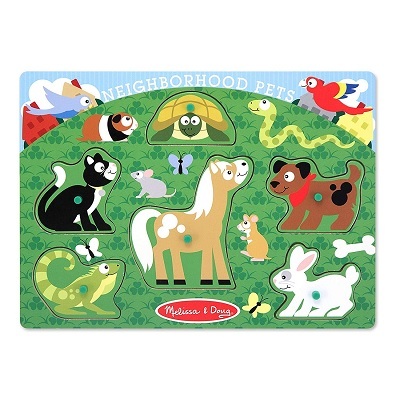 Each of the puzzles is colorful and bright, filled with vibrant scenes and expressive animals. 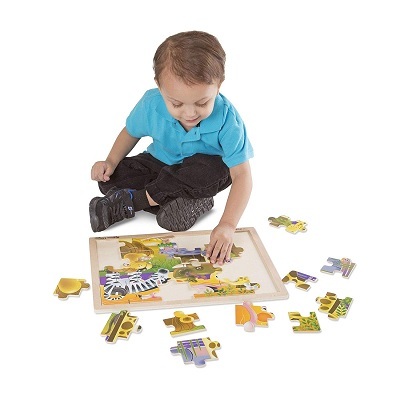 Puzzles offer motor skill improvement as well as sensory memorization and Melissa & Doug have created puzzle sets that do a great job of that and so much more. 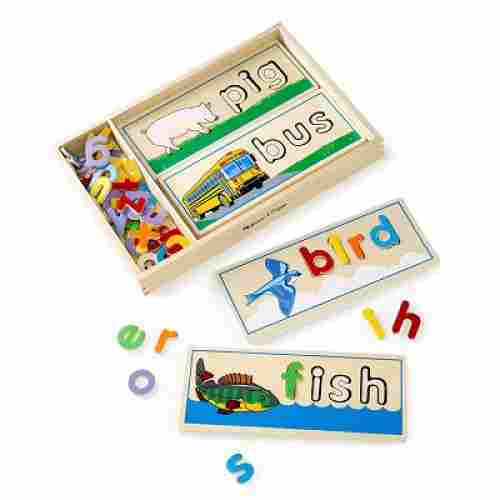 With these puzzles, your child will improve they coordination but also have the chance to learn about the animal pieces they’re taking out and fitting back in. There’s a really fun aspect to a puzzle that’s been personalized and made especially for you. Kids will love the sentimental value of this puzzle as well as the extra help learning their names. 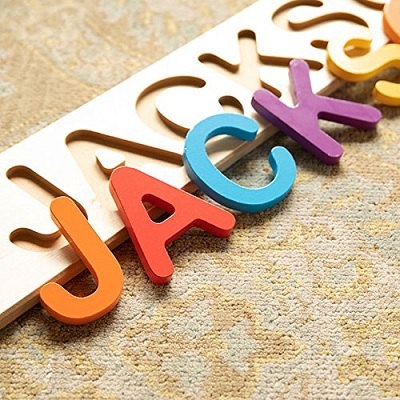 Each letter in your child’s name will be uniquely designed with a different bright color for each, along with a puzzle board that will fit all the letters perfectly. 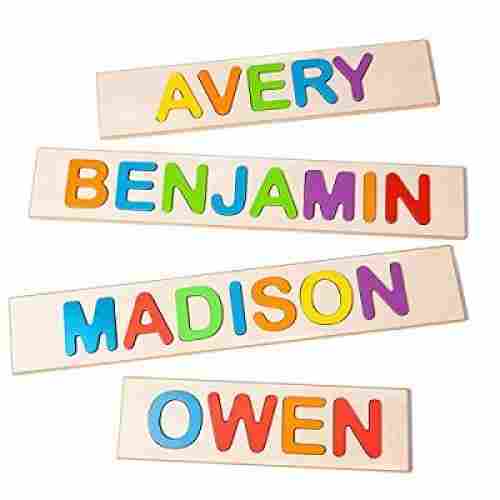 This makes a great gift for holidays and birthdays and will become a toy that they’ll hold onto long after they’ve already learned to spell their name. 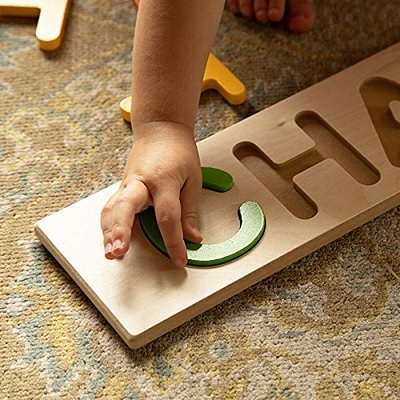 When they’ve successfully learned to spell their name they’ll love bringing this puzzle in for show and tell to show all their friends how proud they are! One of the first things kids learn to spell and write is their name and there’s no better way to do that than by first having them piece together a puzzle of it! Imagine the look of surprise and excitement on their faces when they realize this isn’t just an ordinary puzzle -- but one designed specifically for them. Puzzles are a great way to learn how to spell and even more fun when what you’re child is learning, is their own name. 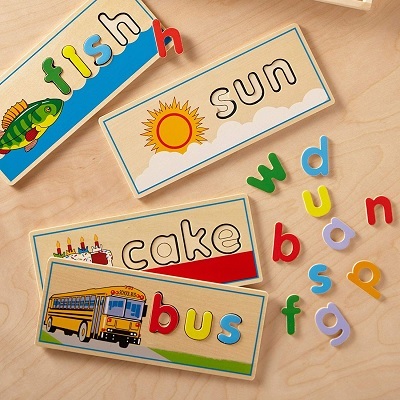 Phonetics and letter placement are equally important when your child is learning how to spell and this puzzle can help with both as well as motor development. Teaching children their shapes and colors can be a challenge. This puzzle takes the challenge and makes it a fun activity. The puzzle pieces are brightly colored and easy to identify. Shapes, colors, and more--this learning puzzle is constructed from wood and offers multiple play-based learning activities. 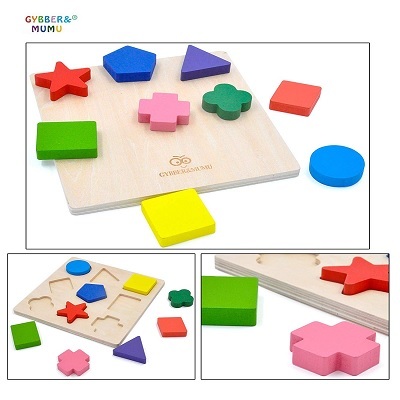 It is an overall great learning tool that will provide toddlers and kids with the ability to learn how to stack and match, along with encouraging them to identify shapes and colors. The kid-friendly paints on the wooden pieces are water-based and contain no lacquers and are extremely durable. Each puzzle piece and the board have been created and constructed from high-quality materials and are safe for everyone in the family. 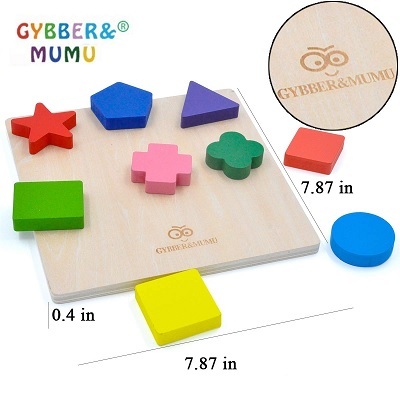 Included with each puzzle are nine different colored shapes that each has a place on the wooden board. It is best-suited for children over the age of 3 years old. 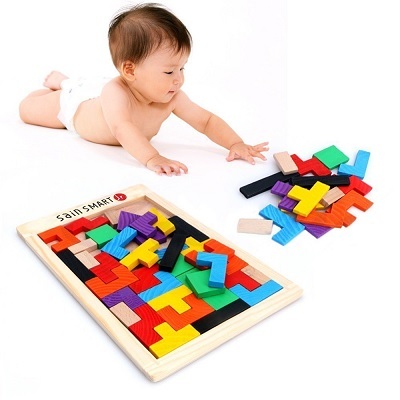 Hours of endless open play will be experienced with this fun wooden puzzle with shapes and bright colors. Wooden puzzles can be used for many play-based activities that are fun for the little ones, but while they are having fun, they are also learning. This wooden puzzle features shapes and colors that promote recognition of each of them while also enhancing dexterity and motor skills. 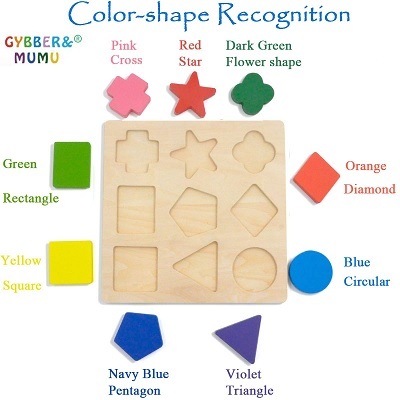 Parents are able to work with children using this puzzle to help learn their colors and shapes easily. It is a very unique way for your lid to learn about things, their names, and their spelling. Once completed, each puzzle panel can be a great addition to your kid’s wall décor. Learning words is difficult without the use of a hands-on product or a game to make things fun and exciting. 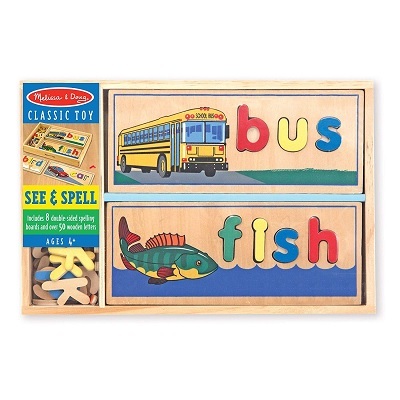 Melissa & Doug’s See & Spell puzzles offer both entertainment and educational value in the form of eight different learning games. 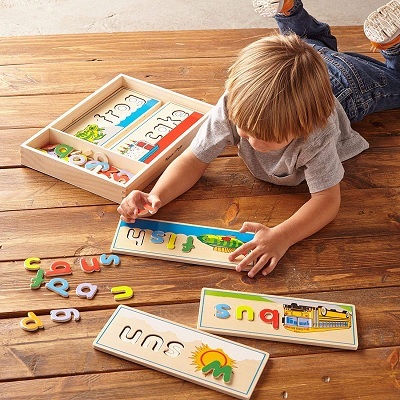 The See & Spell puzzle offers eight double-sided spelling boards and over 50 puzzle piece letters that will give kids the freedom to piece together their own words according to the letter outlines and accompanying picture. To help them figure out each puzzle word, there’s a matching animal that’s depicted in detail so they know exactly what they’re meant to figure out, and each letter is color coordinated so they’ll have help knowing which letters go to which words. The artistic detail in these puzzles is classic of Melissa & Doug and makes these educational puzzles fun and entertaining. When your child is done playing, all they need to do is put each letter in the box that comes with it and stack the puzzles on either side of the wooden tray. Simple and fun! With all these puzzles devoted to preschool-aged children, we decided it was important to include some for a slightly older age group as well. In the early years of elementary school kids are just beginning to learn how to spell out words and form full sentences, and there’s no reason that a puzzle can’t be useful for that as well. 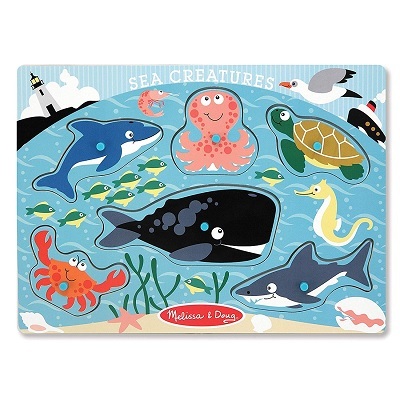 Melissa & Doug are known for their handcrafted toys and the artwork that goes on them. 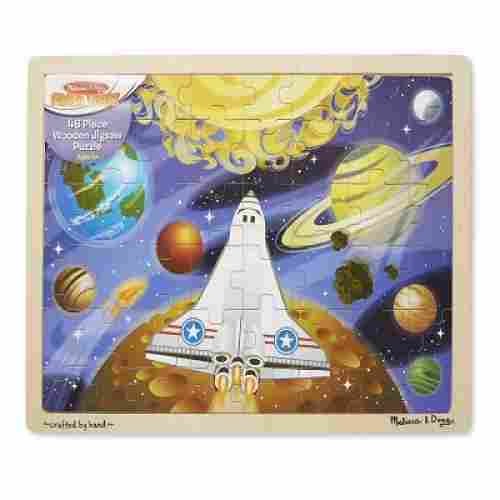 This puzzle is stellar in terms of quality and look and will be a huge hit for any kid that loves outer space. This outer space puzzle is the perfect guide to open up a world of space anatomy to your kids. Help them learn about the sun, moon, planets, and galaxies with each part of the puzzle they complete. This jigsaw puzzle will present somewhat of a challenge with 24 pieces but will engage their critical thinking skills as well as mentally stimulating them with motivation to see what picture they’re creating. The detailed galaxy background is the perfect setting for the 9 planets and stars that are in focus in the completed pictures and will inspire kids to learn more about the world around and above them. 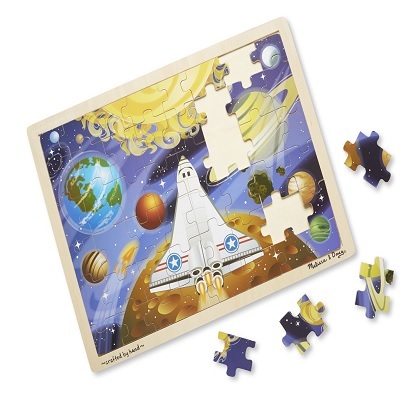 Take a trip to outer space and soar among the stars with your kids as their work on this Space Voyage puzzle! It’s wonderfully illustrated and sure to put a smile on their faces when they complete this picture of a single space rocket orbiting to the moon to explore other lifeforms and planets. It’s a must-have for any kids who are lovers of space and science and will be a crowd pleaser at school and over friend’s houses. Plus, it helps them to develop physical skills like hand-eye coordination! 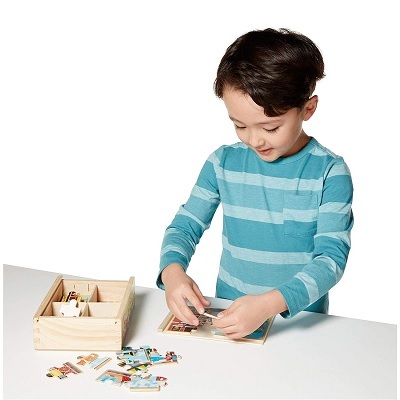 Wooden puzzles without the board allow children to build, create, and learn. This puzzle is all that and more. With each completed puzzle, little ones learn and improve their problem-solving skills on so many different levels. 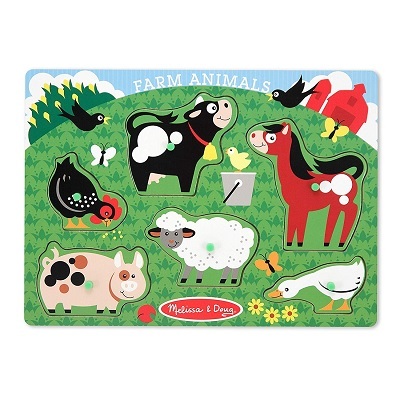 Learning their letters and animals will be super-fun with this puzzle. Puzzles that do not have boards are a great way to improve the problem-solving skills within children. This learning puzzle features letters and animals, but the real skill-building comes when they start to put it together. It can be stacked together in many ways, but getting them together is challenging and very rewarding at the same time. 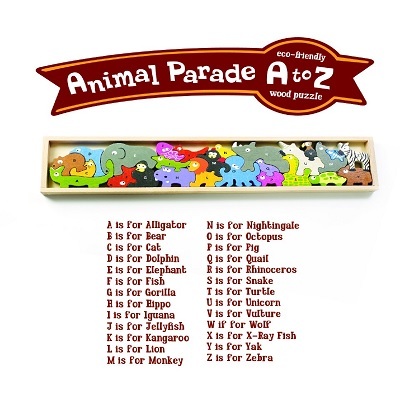 It features animals from A to Z in an educational puzzle game. All of the pieces of this puzzle feature a lowercase letter on one side and an uppercase letter on the other side then a corresponding animal is the shape. 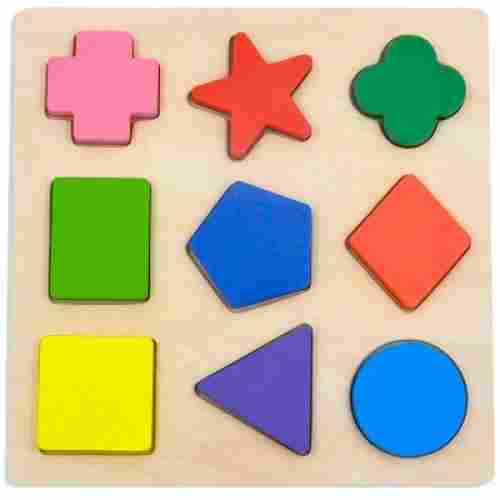 Each of these shapes then fit together in a variety of ways to create a parade-like an animal puzzle. The wood used in creating the pieces is from sustainably harvested rubber trees. The animals and letters are very cute and really boosts their imagination. Putting the puzzle together is fun and with no board it really makes them work to place the pieces together. This is another crucial element that is found in puzzle building at an early age. Through building puzzles, kids will not only learn things such as letters of the alphabet or simple words but also there are other educational elements that can be sharpened such as language, mathematics and geography. A kid even at an early age can learn about solving problems and this is where a puzzle can come into play. Puzzles give kids many pieces and it’s up to them to figure out how to take these pieces and make them into a completed image. Puzzles are an early lesson about how to see a problem at hand and figure out how to fix it. It is clear that wooden puzzle toys are one of the most beneficial learning tools you can ever provide your kid. It is, therefore, crucial to choose one that is not so complicated for your child’s developmental age but is challenging enough to make him or her want to strive. We know how difficult it can be to choose an age- and developmentally appropriate kids wooden puzzle so we have come up with our list of the 10 best. Our researchers have to consider the developmental appropriateness of a few hundred wooden puzzles and chose only those that are safe, of high-quality construction, manufactured by credible toy companies, and passed the discriminating tastes of parents. Cognitive Development: Puzzles can be key to helping a child exercise their minds. Kids will learn how to follow directions and memorize something such as where a piece will go or fit. 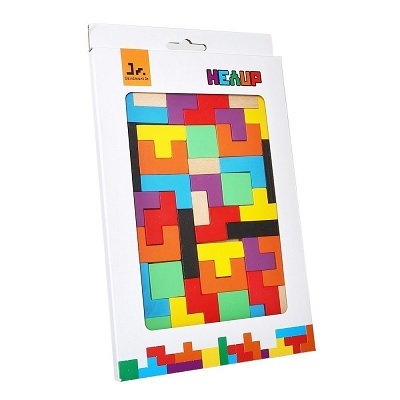 Puzzles also help kids to identify various shapes and colors, which also helps to sharpen the mind. Vision: While working a puzzle, a child will have to study the puzzle carefully. This will sharpen their abilities to identify certain things with their eyes, such as shapes, colors, and sizes. Communication: Yes, kids can even learn more about communicating while building puzzles. This would include being able to ask for a specific piece by name. Creativity: Building a puzzle will help heighten a child’s creativity and their imagination. While working a puzzle, the kid feels as if they are creating something themselves. This will also have a child feel a certain amount of accomplishment and help build their self-esteem. Children of all ages are able to benefit from puzzles. They offer a learning experience that is brain-building, engaging, and interactive. Puzzles help children develop their fine-motor skills, promote cooperative play, and boost their problem-solving abilities. When playing with puzzles, children most often benefit when adults are there to work with them. This is a great way to take a learning experience and also make it bonding time. Kids are able to feel proud of themselves for completing the puzzle and adults are able to use it as a learning opportunity to encourage colors, shape, letter, and number recognition. There are so many different kinds of puzzles for different ages of children. Young children benefit most from the puzzles that have large wooden pieces that fit together in easy board cutouts whereas older children like puzzles that have different shapes and more configurations. Then there are the puzzles that feature locks, flaps, and sounds. Everyone loves those kinds of puzzles. Puzzles help with the development and enhancement of your kids’ physical skills. Specifically, they learn to develop and master their hand-eye coordination as they try to pick up the puzzle pieces and slot them into their places. 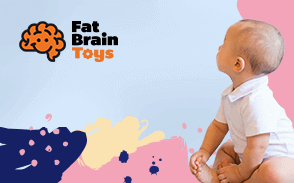 These kinds of toys also help develop and refine your child’s gross- and fine-motor skills. Younger kids will be able to develop their gross-motor skills as a necessary foundation for more precise fine-motor skills. As they grow older, they will be able to pick up and slot puzzle pieces with absolute precision which can help them master their fine-motor skills. This becomes the foundation for better handwriting skills later in childhood. It’s essential for a parent to build a bond with their child at any age. Building puzzles together is a great way to have a bonding moment. Building puzzles is also a great way for kids to learn how to socialize with other kids and spend quality time with their parents. This will include friends or their siblings who can help them put their puzzle together. So, puzzles can be a fun, challenging and interactive experience for more than one individual. Puzzle toys are great for stimulating your child’s cognitive development while at the same time enhancing both his physical and emotional skills. We are optimistic that you will be able to choose several from our list of the 10 best wooden puzzles to give to your kid. Puzzle toys also help develop your kid’s cognitive skills, especially his or her recognition of shapes and colors as well as help enhance his or her memory, spatial intelligence, problem-solving skills, and a general understanding of the world. Puzzle toys that come in different shapes and colors can develop and reinforce your kid’s recognition of these characteristics which can pave the way for more complex cognitive processing of more abstract puzzles. Your kid also will develop his or her memory as he or she attempts to remember or recall the specific shape of puzzle pieces that may not fit a particular slot now but will fit at a later time. 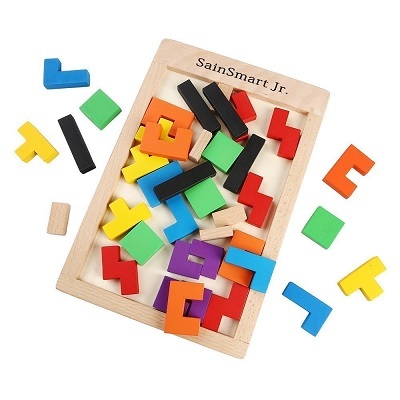 This also helps enhance their spatial intelligence where they try to make sense of the puzzle slot and attempt to correlate that with the various shapes of puzzle pieces that they see. Overall, their problem-solving skills are enhanced through constant trial-and-error methods as well as the use of rudimentary logic and critical thinking skills. q: How do I keep track of puzzle pieces? One of the main cons of the puzzles on this list is the fact that pieces can get lost over time. This is one of the main drawbacks of puzzles in general no matter the age level. So, when a child is done playing with the puzzle, try to account for all the pieces. The best way to do this is to put the puzzle together to store it away. q: Are these wooden puzzles built to last? 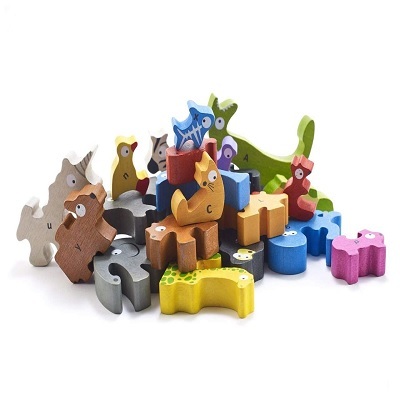 Wooden puzzles are quite durable and are built to last with quality construction. A wooden puzzle can take much wear and tear. That’s not to say that some care isn’t involved. For example, it is not a good idea to get a wooden puzzle wet such as a child accidentally spilling a beverage on it or leaving a puzzle out in the rain or throwing it in a pool. Water can damage the wood and cause it to warp and wear down so always make sure that if a puzzle is exposed to water or dampness, it is dried off immediately and then air-dried overnight. q: Are all these wooden puzzles safe and nontoxic? This has been a major concern for parents since 2007 when the major plastic toy recall occurred that involved many popular baby toys. However, this recall involved plastic toys only, not wooden ones. A wooden puzzle is made from something that is completely natural. Yes, there are other things that are involved such paint, finishes and even a certain amount of plastic. As stated above, several of the wooden puzzles listed here ensure consumers that these puzzles were made with the nontoxic material. The companies featured on this list have taken the time to understand these concerns and to try to put their consumer’s fears to rest by creating puzzles for younger kids that are safe and nontoxic. q: Can a wooden puzzle be cleaned and sterilized? Like any young child’s toy, it will be important to sterilize wooden puzzles periodically. However, there are certain parameters to keep in mind, such as using a safe, nontoxic cleaner such diluted vinegar placed in an empty spray bottle that will actually disinfect the pieces without being harmful to the child. Another thing to always remember is not to soak any of these pieces in water, as water is an enemy of wood. The best course of action is to get a spray bottle of the nontoxic cleaner of choice, spray the toy with the cleaner, then using a damp washcloth go over the toy once more. Afterward, gently pat down the toy with a dry sterile towel, then place the pieces in a dry spot for them to air dry, usually overnight. There are several step-by-step tutorials that can be found online that will guide you through sterilizing wooden puzzles and other wooden toys. q: What is the ideal age for a kid to start building puzzles? On average, the ideal age for a child to start being introduced to simple puzzles such as the ones listed here is age 2 years. 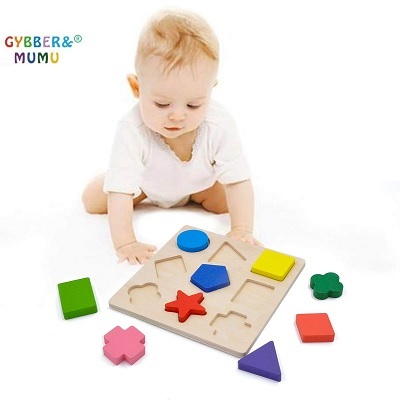 However, a child who is around 12 months old will start to learn about placing things such as blocks into containers. A few of the puzzles listed here are ideal for this stage of development and are perfect for kids who are 1 year of age. q: How do I know which puzzle is ideal for my child? First, it’s important to take into consideration the age of your child. As stated above, not all wooden puzzles are ideal for all age levels. It’s always important when choosing a puzzle to look at the box for a listing of the age recommendation. If your child falls below the recommended age level, this isn’t the ideal puzzle for them. Also, as a child grows they start to develop interests, and this is also a hint as to which puzzle will interest them. Yes, always a good idea to buy some educational puzzles such as the examples above, which are ideal for kids who are around 4 or 5 years old and prepare them for what they will be or are learning in school. q: How do I get my child to interact with puzzle building? This can be a challenge for parents who are trying to get their toddlers to understand what a puzzle is. Sometimes, the child will just watch the parent build the puzzle, and not interact at first themselves. The best course of action is to be patient. If a parent shows the child step by step what needs to be done to complete the puzzle, eventually the child will catch on that they themselves can do this. q: Will puzzles continue to interest my child the older they become? This is a good question with no easy answer. The older a child gets the more they will no doubt be interested in technology and video games. However, introducing them to puzzles at an early age could very well lead to them wanting to continue building puzzles and perhaps even give them a fun-filled hobby as they get older. In any case, a kid will still learn some great developmental skills building puzzles at a young age, no doubt about that.